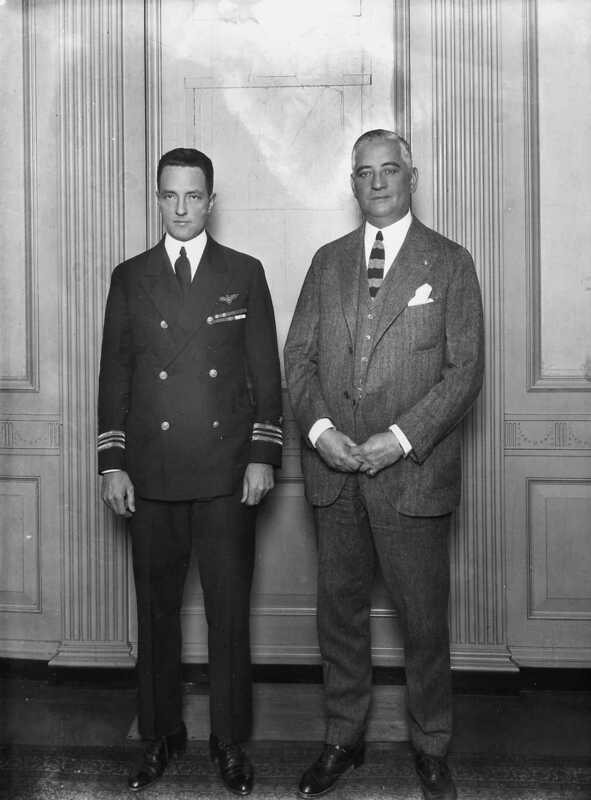 Mayor Charles Kline and Commander Richard E. Byrd of the United States Navy. This photo was taken two years before Byrd would make his first expedition to the Antarctic in 1928. Downtown (Pittsburgh, Pa.); Mayors--Pennsylvania--Pittsburgh. ; Men--Pennsylvania--Pittsburgh. ; Kline, Charles H.; Byrd, Richard Evelyn, 1888-1957.